If I am going to write honestly and openly for TNL, I need to be truthful with all of our readers. I have an addiction…to mascara. I thought it best to get an explanation out right off the bat before you start to wonder why so many mascara reviews. 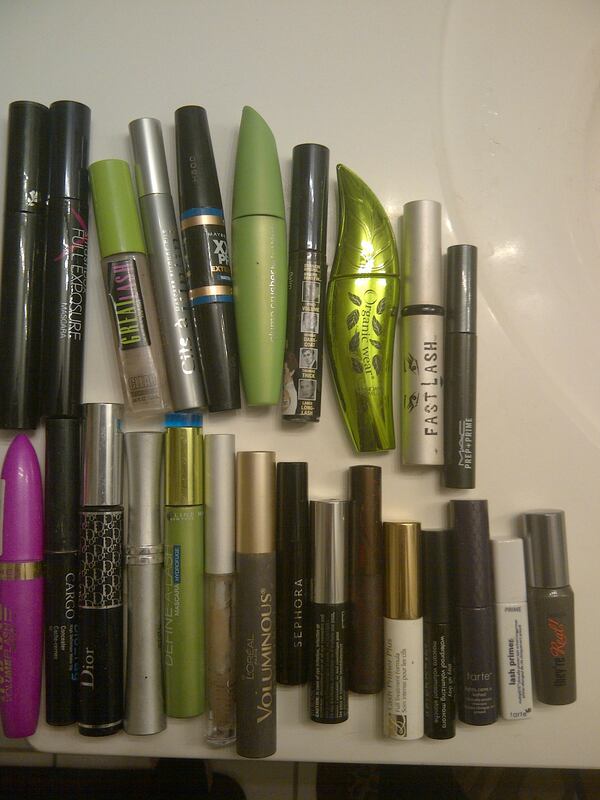 Well, let me start my sharing a picture of my current arsenal of mascaras. If I were to be stranded on a desert island with only three beauty products, one of them would be mascara. I love the look of mascara and I think that when applied properly it can transform my face to make it look more polished and alert. Mascara is a funny product for me. Even though I have found some formulas that I really truly love, I’m always on the hunt for the latest and greatest mascara on the market. I believe all the hype and want to try all of the new mascaras as soon as they come out. Vibrating, false fibres, tubes, tints, extensions… you name it, I`ve tried it. One thing I have learned is that everyone has different lashes, and therefore different mascara needs. I wouldn’t need the same hair products that a bleach blonde with pin straight, thick hair would need. Same goes for lashes. I often run out to get mascara that gives a friend Kim Kardashian eyes, only to be disappointed when I try it on myself and it’s a clumpy mess. Now, I know what you`re thinking. No one really has Kim K lashes without a team of professional estheticians, lots of money, and some very posh Shu Uemera lash extensions. But, I’m here to tell you that we have a friend with real life perfect lashes. Our friend Sephora has incredibly long, thick, dark, curly gorgeous lashes worthy of mascara commercial and they are all natural. 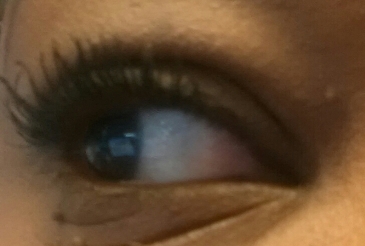 So the goal of mascara for me is always to make it look like I have something anywhere in the ballpark of Seph- lashes. In fact that’s kind of the lash rating system that I have in my head, zero to Seph-lashes. 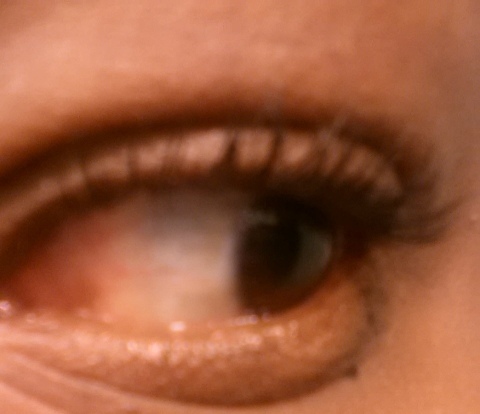 My lashes are very long but dead straight. It is difficult to have them hold a curl without heat. After applying my mascara in the morning, I heat my eyelash curler with a blow dryer or flat iron and curl my lashes. This is the absolute only way that I can get my lashes to curl evenly and stay that way all day. I have been doing this for years and it has never damaged my eye or eyelashes. However, I suggest that if you are trying this for the first time you be very careful and make sure to test the curler on a cheek first to make sure it isn’t too hot for your eye area. You can hardly see my lashes because they are pin straight. 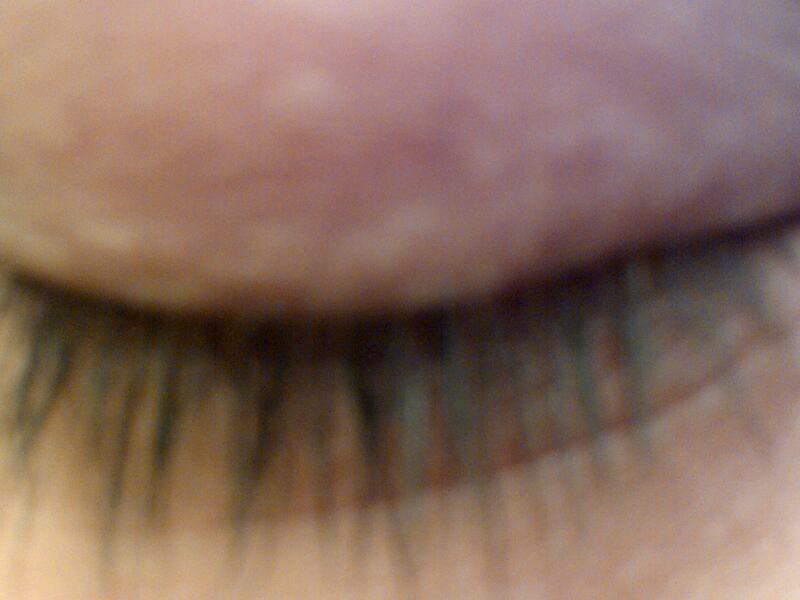 The strangest thing about my lashes is that they get tangled. Does anyone else have this problem? For this reason, I tend to look for mascaras that are very defining and separating thinner formulas. Super thick mascara will just make my lashes goop together and look a mess. I tend to have the best results with a plastic brush that is straight. The curved brushes tend to mash my lashes into one another and bunch them together. I like to use black mascara, although I have always been curious about trying a purple colored one like Benefit’s BadGal Plum to see if it makes my green eyes look any more vibrant. I usually choose any mascaras “black” hue over the darker ones usually called something like “deepest black” or “darkest black”. I never really understood this, how can a black mascara be darker than black? I often combine mascaras to give me a desired effect. I am constantly trying out new combos and I usually wear the same for about a week before I switch it up and try another one. 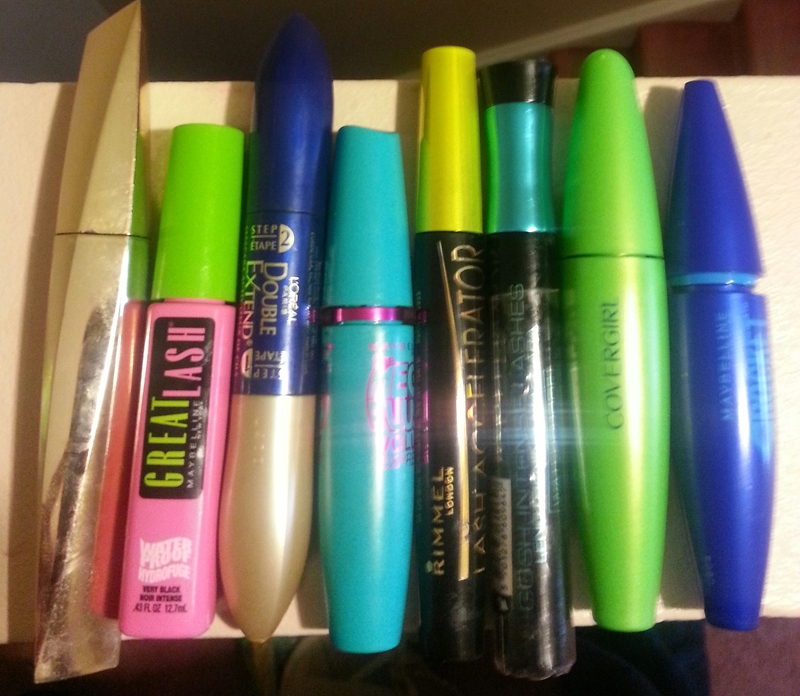 I also tend to like mascaras best when they are freshly opened. For the first few weeks they are wonderful and they I find myself less and less impressed as they start to thicken and dry out. I usually lean towards drug store mascaras and I truly believe it is one of the few products where the drug store offerings are equivalent to that in most department stores. So, this brings me to the answer to a question that I get asked quite often. What is my favourite mascara? If I had to choose one high end I would say Lancôme Definicils. This is defining mascara that gives me a doll lash effect with tons of length and separation. 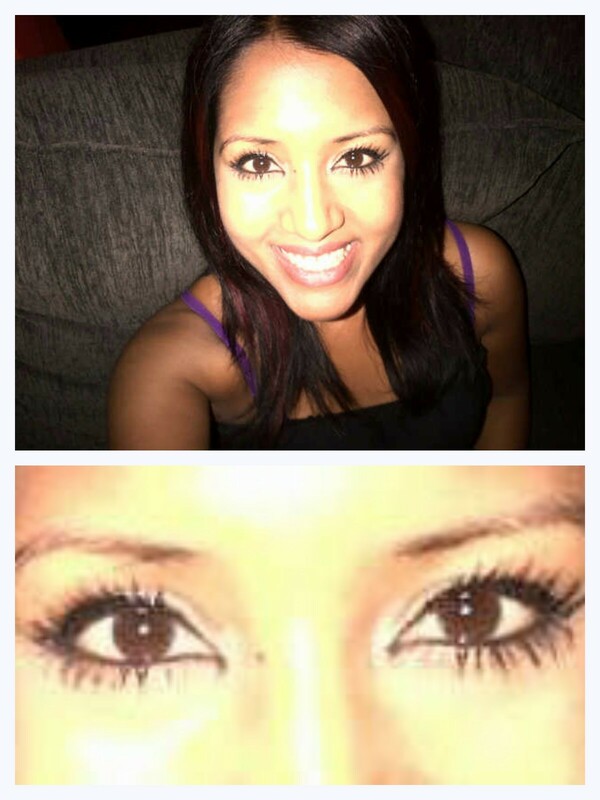 I find that a similar look can be achieved with the drug store alternative, CoverGirl Lash Blast. Still, I am forever on the hunt for the latest and greatest in the world of mascaras. I hope you will come along for the ride and check out the reviews along the way. Do you have favourite mascara, or do you keep switching it up too? A girl’s best friend must be mascara. Even if we don’t use anything else in a day, just a little touch (and repeat at least 3 times, of course) and out the door we can go. But searching for the right mascara to suit your lashes can be more stressful than finding the perfect partner. Can I get an AMEN, girls? Okay, I also can’t live without lipstick, but let’s focus for now, shall we? They are very curly with random straight ones in between and have great length. To sum it up, my lashes are unruly. The type of unruliness typical of curly lashes. I have been on a quest for The Perfect Mascara for My Unruly Lashes for years. I have tried every new product that has a great mesmerizing commercial (shout outs to Queen Latifah) and am still left wanting more most times. Where girls are trying their darndest to curl their lashes, I’m trying to extend mine to show their length. I’ve gotten used to the “you don’t curl your lashes? LUCKY!” comments, and even survived the daggers shot at me with their eyes when I say the curliness (is that even a word?) can be disruptive. Oh! get this! I totes love when a lash curls down, and scratches the living daylights out of my eyeball, instilling fear of a damaged retina. But when I go look in an attempt to remove the rogue lash, I see nothing. LOVE. THAT. Anyway, I digress…. Where was I? Oh! Mascara. So when I see a mascara commercial that says it gives 5,000,000x the length, I am inclined to purchase it and try it out. I’ll be the judge of that, thank you! I’m the opposite of Ash – I hate fresh mascara because it does nothing for my lashes. I might as well rub water on them. See what I mean about unruly? For me, I like when I’ve used mascara for about a week or so and it’s not as “liquidy”. My lashes must be ruled with an iron fist, you see; none of that soft and delicate freshness for my bad boys. I think I hear them snicker when I apply fresh mascara. The type of brush that comes with the product is mucho important. I have to use the comb-styled brushes… you know the ones…. They are better at separating than the wands that have fuller brush types. So if I see a new product, I check out the brush. If it’s full, the forget about it! I also double up, but that’s because one product doesn’t seem to cut it. Some are fab for length while others give you volume to die for. And there are the others who take “waterproof” to unknown lengths and last ALL day. So essentially, I need a first layer to separate my soldiers, then another to add some volume and/or length to make them stand at attention.Come to think of it, I might even triple up depending on the occasion. Let’s face it, we all want giraffe lashes. And by that I mean, we all want Seph-lashes! (Seriously, whose natural bottom lashes practically brush their jaw line like that?) For a couple years I had sworn by Maybelline Define-A-Lash like no other. I was settled – this was my Mascara Match Made in Heaven. I would try new ones in between, then end running back to my love Define-A-Lash. But all good things must come to an end, and there are way too many options out there. And like my attention span, my lashes need to switch up. I am not in as deep as Ash (we’ll be switching spots when we talk about lipsticks, don’t worry) but I have collected a few whenever they go on sale. I can guarantee that this isn’t it, though, but as The Mascara Logs carry on so will the options. So join us on our journey, and leave us your feedback – especially if you have the same lash type. We’re open to suggestions too, as you can tell we’re not locked in to one particular mascara! The quest to achieve Seph-lashes may be a lifelong one. – Chris. Ok. This is RIGHT up my alley. Mascara is THE. MOST. IMPORTANT. part of my makeup routine. 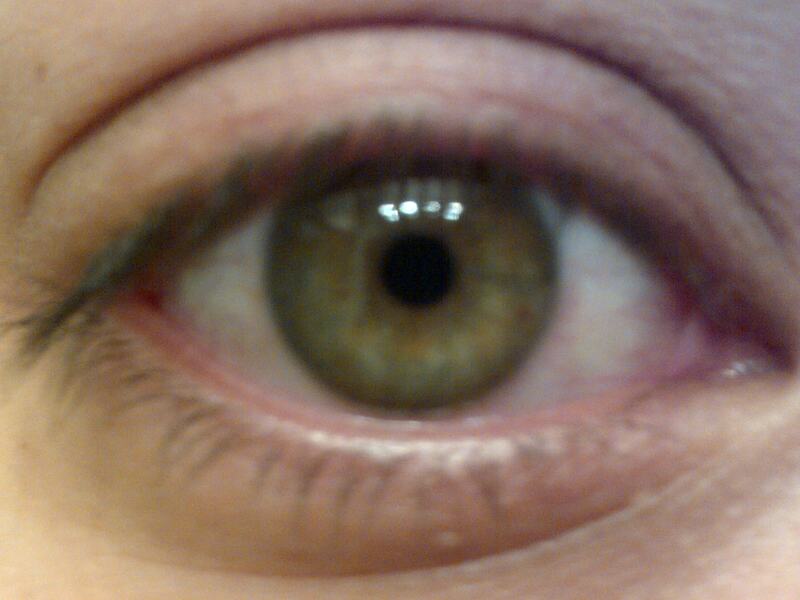 Without it, my eyes looks sunken and disgusting and basically disappear all together. 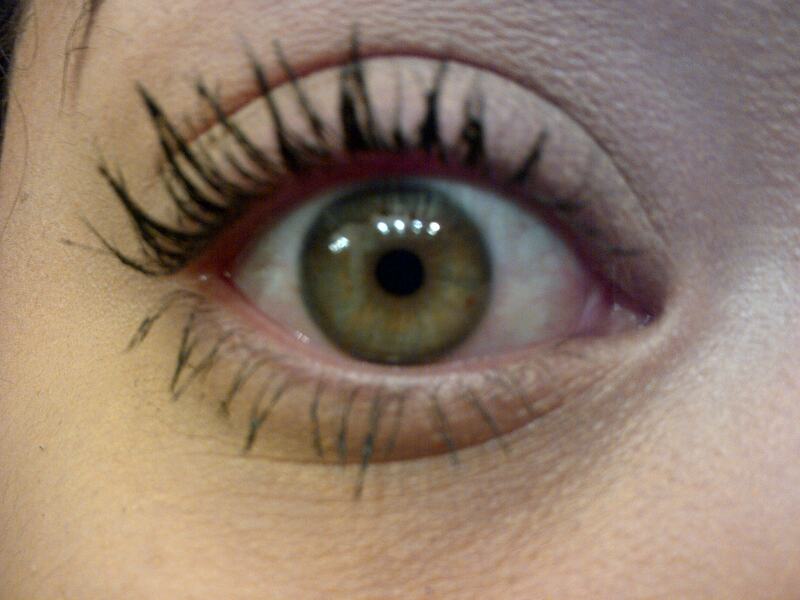 I’m serious when I say that mascara and I are inseperable. Don’t try to separate us or you will be hurt. I need it to live. I spent the larger portion of my teenage years dating around for the perfect mascara. Then I married one. We have been together for around 5 years. Um… hang on while I go check what his name is… Cover Girl Lash Blast Volume. I never know who makes it. I scour the shelves until I find my perfect orange tube of happiness every time. And every morning when we go at it, we really go at it. Like 5 whole minutes of intense application (that’s a long time in mascara terms). Granted I’m driving in the meantime so I have to account for looking for pedestrains and traffic lights. I am sad to report I had a little affair with Falsies around 4 years ago. But that sucked balls and Lash Blast took me back. Now we are happier than ever. The end. Oh, i always go for blackest black (why not!) and last week i accidentally bought black-brown. i dont hate it but that won’t be happening again. Also, never waterproof. Also also, I buy him at walmart in the states for roughly half the CDN price. And I buy in bulk to prevent any bald eye snafus. The most well-known writing advice is “write what you know” and the best things to read are those that are written with passion…I know that “The Mascara Logs” are going to fill both of these truths and I can’t wait to follow along…even though I must admit I never give to much thought to my mascara or my behind my glasses lashes! I just have to say, you girls all have BEAUUTTTiful eyes and lashes! Wow! Keep us updated on your mascara journey! I agree with Loretta, Ash and Chris have lovely lashes! Thank you for making my lashes the metric by which you are measuring – but I still say you’re too kind! Since everyone is telling their favourite mascaras, here are mine: Number one is the newest one I’ve tried which is Maybelline Volum’ Express The Mega Plush – it comes in a teal container (yup I tell mine by the package colour too). It is a gel mousse formula and it has a fluffy brush. I like my mascara blushes as fluffy as possible, but with bristles stiff enough to really be able to comb and separate the whole length of the lash. My second favourite is Maybelline Volum’ Express The Colossal mascara – either washable or waterproof – yellow container – it is fantastic! My third favourite is Dior’s DiorShow – again a super fluffy brush, but I find it doesn’t separate the lashes quite as nicely as the Maybelline ones. Last is Cargo TexasLash mascara – it is the best I’ve ever used quite honestly, but not my favourite because it is a tubing mascara (i.e. it creates polymer tubes that envelop each individual lash) – so when you take it off, you have to kind of pull your lashes and rub them, and the mascara comes off in little tubes – it freaks me out and I worry too much about pulling out precious lashes. Thanks for your report ladies, and I can’t wait to try some of your suggestions! Wishing for Seph-lashes would be too much to ask for…I would happily settle for 20% of Seph-lashes since mine are straight and flat! Seph could probably use Dollarama mascara and her lashes would look perfect! I love my Benefit They’re Real Mascara (thanks for the recommendation, Ash aka mascara-ologist! )…it’s a bit pricey but it’s the only one that’s worked for me without giving me “panda eyes”!!! Ha! TNL does not recommend the use of Dollarama mascara for anyone! A drugstore dupe for They’re Real would be amazing. We’ll go on the hunt. Thanks Carebear! Way back when I used to read Seventeen, they would go on about how amazing Maybeliine Great Lash was, I was and still think it’s a waste of money, it’s not up my alley. It is definitely for those who want a neutral barely-there look. I bought a double pack the other day (sale at shoppers) Revlon Colorstay Overtime…same deal. Boring mascaras can’t gwan. It’s amazing how mascara makes your eyes pop. You lovelies have beautiful eyes man! Ash: I never thought of using more than one type of mascara at the same time– but it really does make sense as you can get the best of both worlds in doing so! What has been your most recent mix? I tried Haute and Naughty once too and liked it! Its a really innovative design. 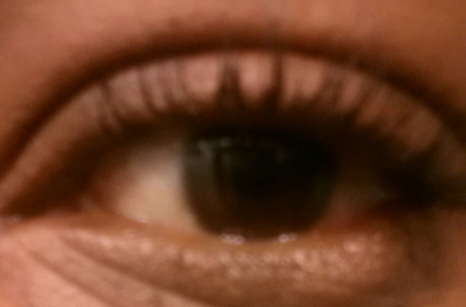 I have been really enjoying Marcelle Lash extreme. I play around with what I layer it up with every day. Today I’m wearing it with Smashbox Full Exposure and I think I actually prefered it on it’s own. I have a sad, sad story to share. I accidently threw 2 brand new boxes of Benefit’s They’re Real mascara down my garbage chute. Who does that?!?! Me. Still so mad at myself. Hey Ladies! This topic is one of my favourites! I’m also a mascara addict, always on the hunt for the perfect lash. The longer the lash, the more your eyes POP! I would choose mascara over anything else in my makeup bag! I’ve tried many in my days and the mascaras I swear by are Loreal Voluminous (grey tube with gold top) and Estee Lauder Magnascopic (blue tube with gold writing). For me, it’s all in the brush. The problem I most often encounter is mascara that dries out too quickly. Great post!